One free Americhip chip for every American. 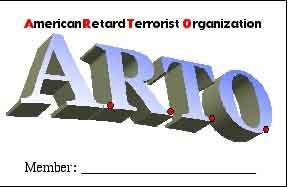 A.R.T.O. will implant, service, and watch, where you walk, around the globe! Homeland security insists we know where you are, so we can protect you. website and watch where your neighbors are. you can be emplanted by Uncle Scam in Brattle Square. Chips courtesy of M.I.T. military endowment. we insert the chip at the base of your skull.